With the Testo Smart Probes VAC set, you can check air velocities, humidity, volume flows and temperatures in, on and around air conditioning systems. 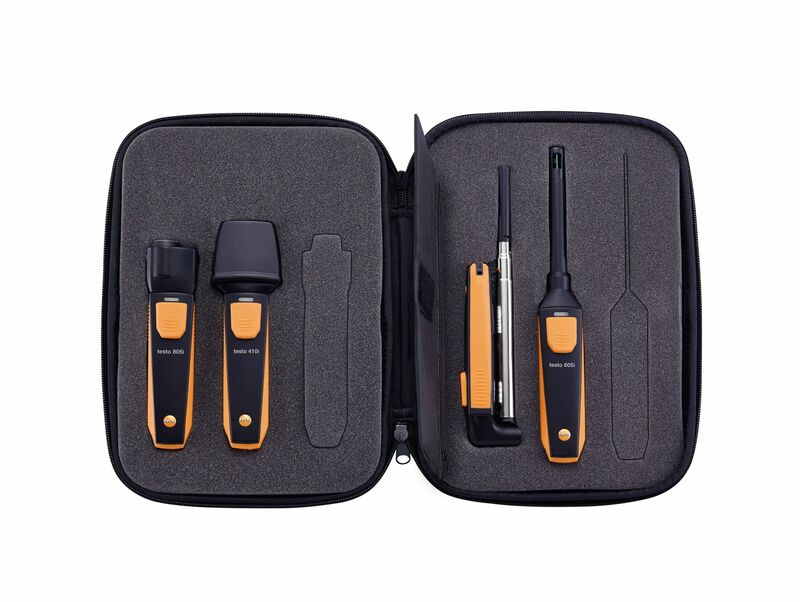 The robust testo Smart Case enables the measuring instruments to be conveniently transported and ensures that they are always to hand when needed. 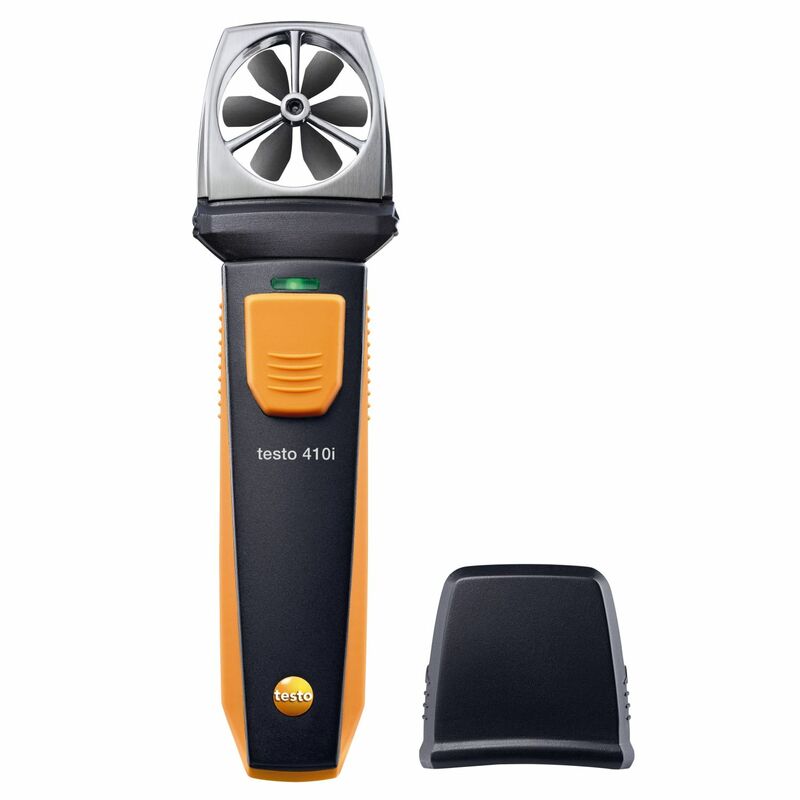 Professional measuring technology in a small format: the compact testo 410i vane anemometer with smartphone operation measures the volume flow, air velocity and temperature at air outlets quickly and reliably. The testo Smart Probes App enables readings to be viewed conveniently and offers intelligent additional functions.